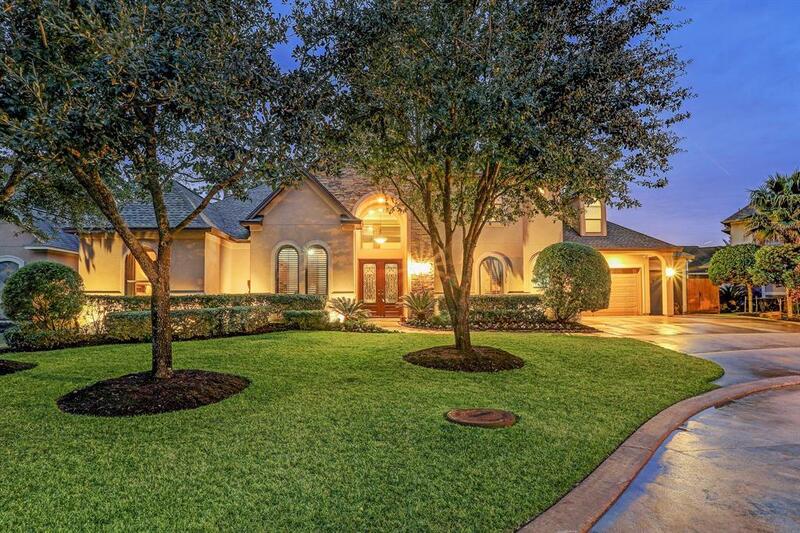 Exquisite, pristine 1.5 story custom home in highly desired Rock Creek! 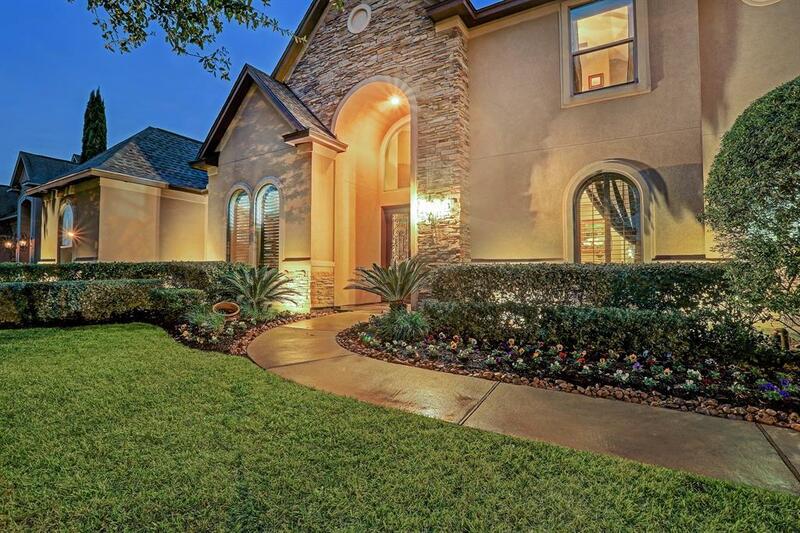 It sits on a coveted cul-de-sac lot. BUILDING/OWNER UPGRADES TOTALING OVER $175K! 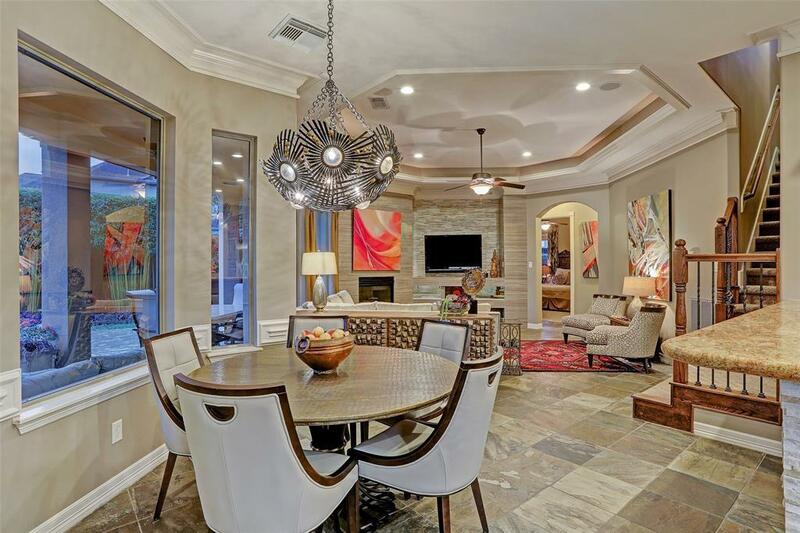 Perfect for entertainers, Upon entering, the grand living room w/ high ceilings, 2-story windows a luxurious curved wine/ coffee bar awaits you. Home flows beautifully w/ centralized common areas & 4 split bdrms, providing ultimate privacy for you, family, and guests. All rooms are on 1st floor, except 1 bdrm, game room & flex space on 2nd. 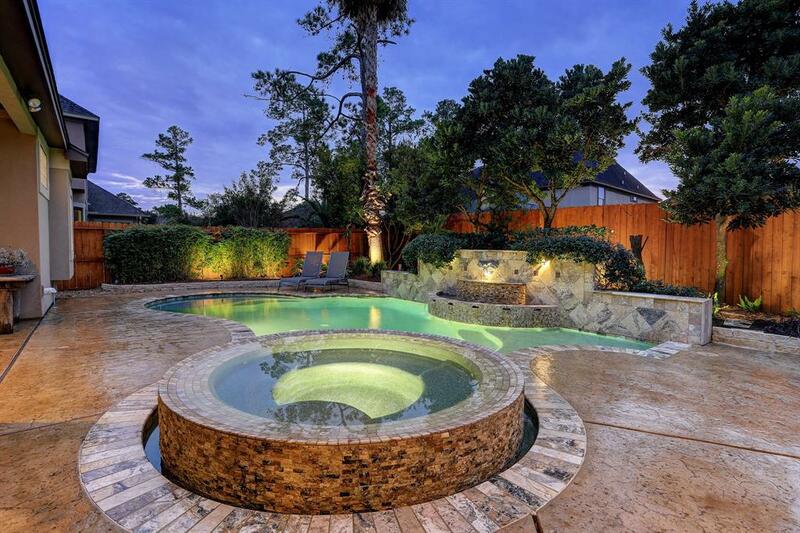 Backyard oasis will impress w/ x-large covered patio, luxurious pool/spa, extensive decking, manicured landscaping & ample green space for play equipment. 3 Car Garage is perfect for hobbyist, with split A/C, epoxy flooring, custom cabinets/shelving. Too many features & upgrades to list!! It's worthy of a magazine, Home has never flooded. Zoned to highly acclaimed Cy-Fair ISD. Convenient short walk to Black Elementary.